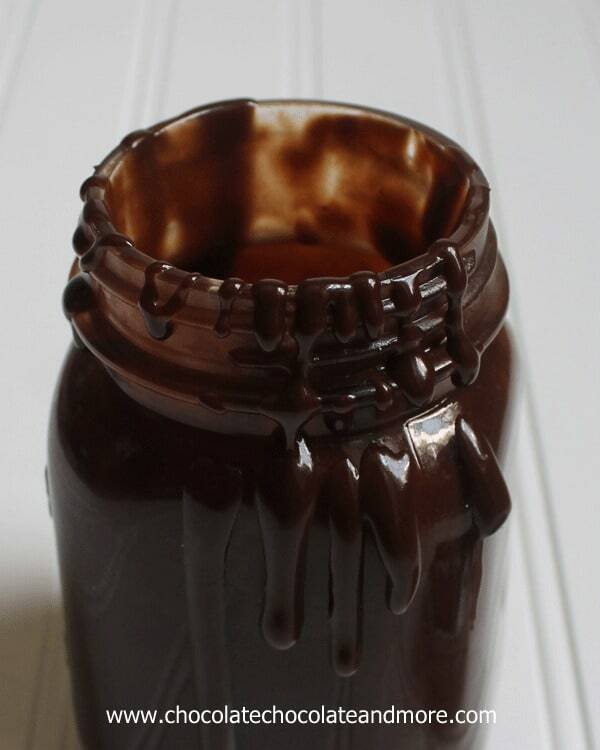 Strawberry Orange Syrup - Chocolate Chocolate and More! Grand Marnier takes this strawberry orange syrup to a whole new level. 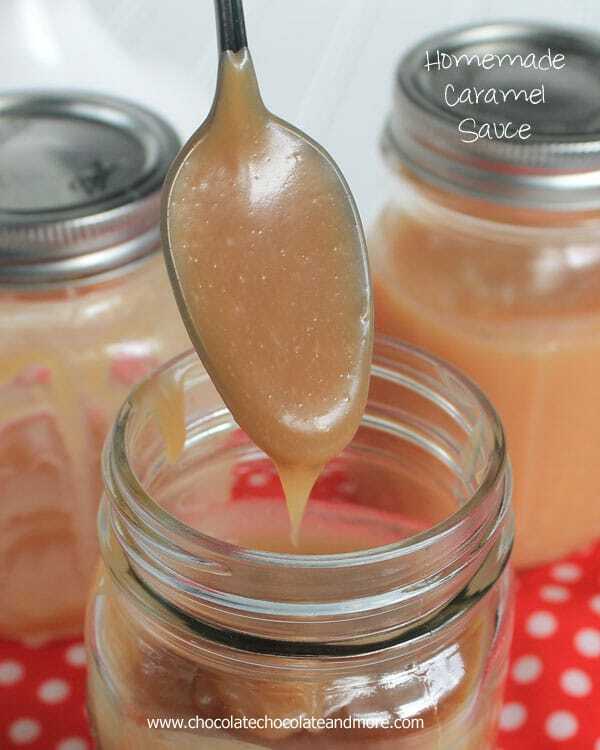 Substitute orange juice or cook off the alcohol for a kid-friendly version. 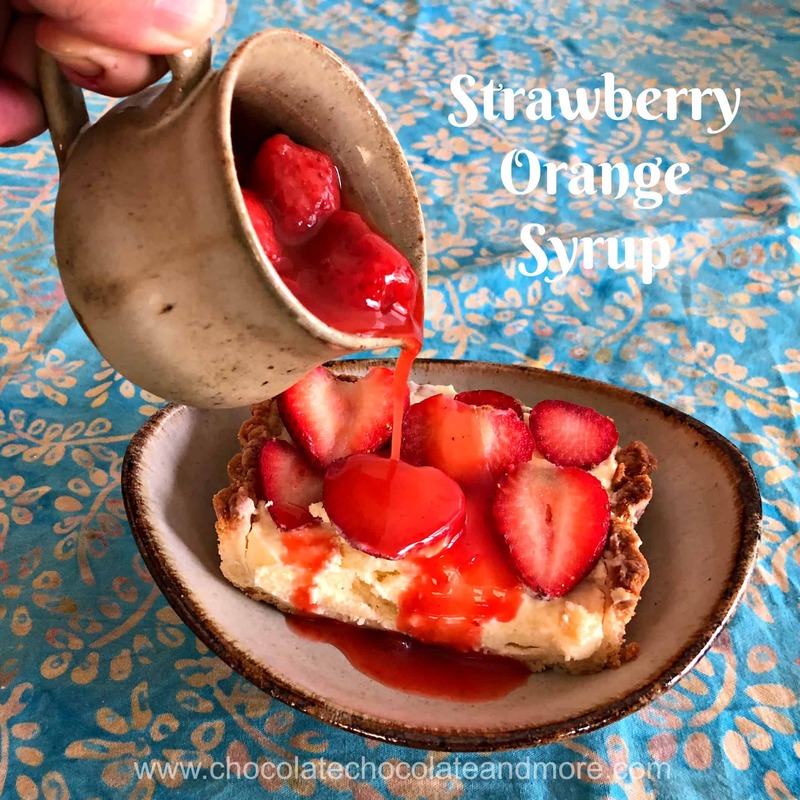 Strawberry orange syrup is amazing on ice-cream, in drinks or all by itself! This is a slight adaptation on Art and the Kitchen’s strawberry sauce. Laureen used fresh strawberries so hers is beautiful. The addition of Grand Marnier really takes it over the top. The not-to-sweet orange in the Grand Marnier intensifies the flavor of the strawberries. If you add the Grand Marnier at the beginning, the alcohol cooks off and you’re left with intense strawberry flavor. If you add it at the end, you can taste the alcohol. I’ve made this sauce twice now. Once to top a chocolate mousse cake at Easter and once to add some flavor to a strawberry marscapone tart. My friends loved it so much, they just poured it on their plates and spooned it up. You know something is good then your friends do that. Mix strawberries, sugar and cornstarch in a small sauce pan. Heat over medium heat until a sauce forms and starts to thicken. Remove from heat and mix in Grand Marnier. You can put all the ingredients in the pan at the start if you want to cook off the alcohol or you are using orange juice. Thanks Laureen. Your strawberry sauce is so amazing. I’ll be making it a lot when I get back to Texas.